So guys ASOS Grooming sent me the most amazing package for Christmas. As you guys know I'm really into my skincare at the moment so when I received this package I almost literally died. My skin has really been playing up because of the weather change, so this package came at the right time. It's so hard to find good skincare for men especially to target shine but still be affordable. ASOS now have a grooming section which I had no idea was on the site. The grooming section section has face washes to oils for your beards. So you now can get your favourite clothes and favourite skincare brands in one place!!! !Definitely check them out here. Also check out my video to see the cool products they sent me. 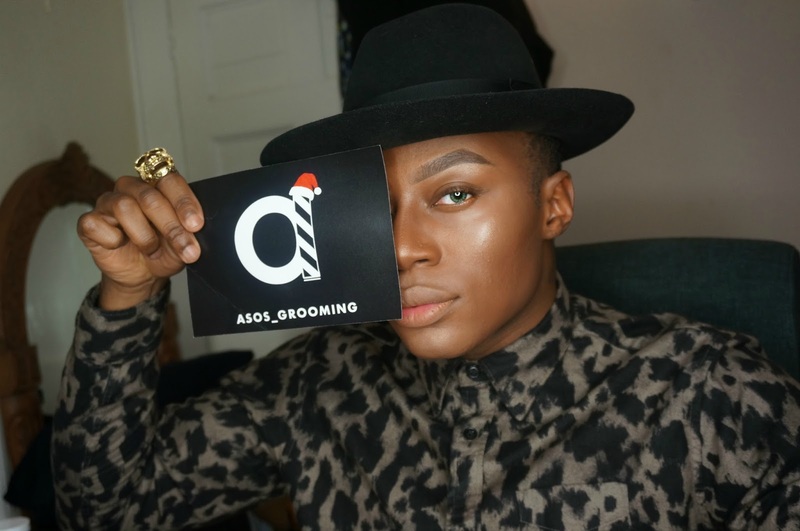 Thank you so much ASOS Grooming.